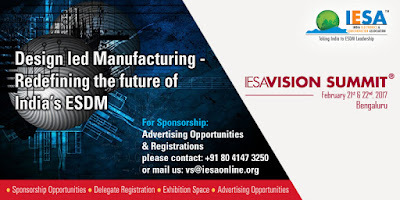 India Electronics and Semiconductor Association (IESA), the trade body representing the Indian ESDM (Electronic System Design and Manufacturing) industry today said it has signed four MoUs aimed at bridging talent gap. The MoU s have been announced with ESSCI (Electronics Sector Skills Council of India), SID (Society for Information Display), IIT Kharagpur (Indian Institute of Technology, Kharagpur) and Infineon to build a robust talent pipeline in the ESDM space, by strengthening industry-academia relations, IESA said. The MoUs have been announced at IESA’s annual flagship event ‘Vision Summit’ here. While IESA is collaborating with Electronics Sector Skills Council of India (ESSCI) to create ESDM entrepreneurial ecosystem in campuses by launching NETRA – National ESDM Technology Research Academy; it is partnering with IIT Kharagpur to foster a collaborative, research and development initiative aimed at creating a comprehensive platform for pursuing advanced research works jointly. Through an agreement with Infineon Technologies India, IESA aims to support Electropreneur Park, giving a major boost to ‘Make in India’ and Start-up India initiatives; and the MoU with Society for Information Display will collaboratively focus on creation of a display industry eco system in India and open up new global business opportunities in adjacent fields that leverage competencies of the organisations here. 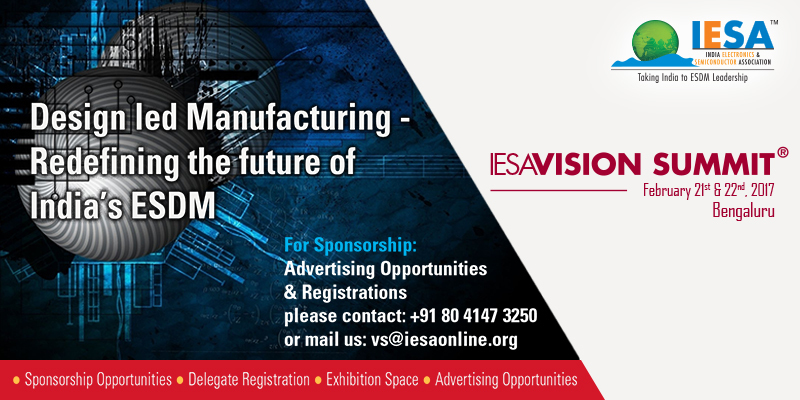 “We see the year ahead as a year where the ESDM industry will scale up in value addition and value proposition.” “With the ongoing digital revolution in the country and the thrust from the government to use technology to improve governance delivery to the people, the requirement for developing new and better innovative products and solutions are growing by the day,” said IESA Chairman K Krishna Moorthy.